This item is flammable and cannot be shipped by air. It MUST SHIP BY GROUND ONLY in the continental United States and Canada. DO NOT SELECT USPS FOR A SHIPPING OPTION!!! Please select FedEx ground ship option for your order at checkout. The Meteorite Getting Started Kit cannot ship to other countries so is unavailable for purchase outside the continental US and Canada. 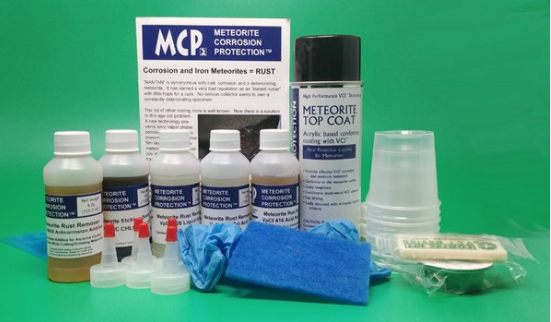 Here’s what comes with your “Meteorite Preservation Kit” for your initial work in controlling corrosion in meteorites. – VpCI 426 Liquid Acid 4 oz. – VpCI 426 Gel Acid 4 oz. 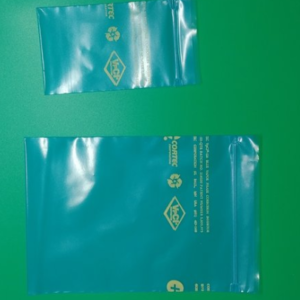 – VpCI 416 Acid Neutralizer (concentrate) 4 oz. – FCES Ferric Chloride 35% 4 oz. – VpCI M435 Anti Corrosion Additive (concentrate) 4 oz. – VpCI 286 Clear Coating Protective Aerosol 12 oz.